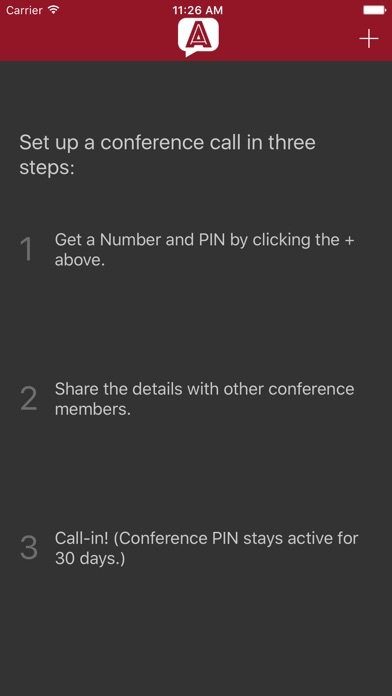 Instantly create a completely free conference call room that allows anyone to call in and join your conference. 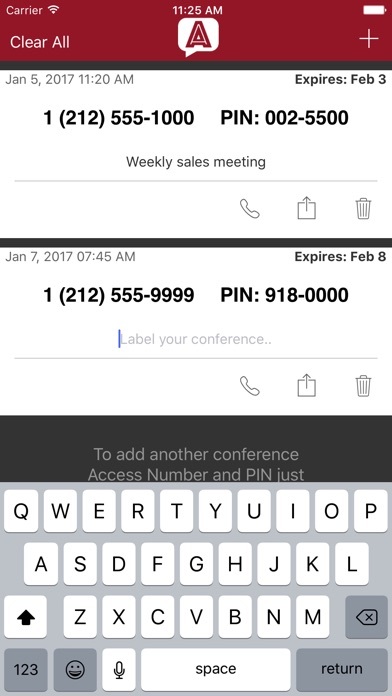 No signup or verification required, conference rooms are available seconds after installing the App. 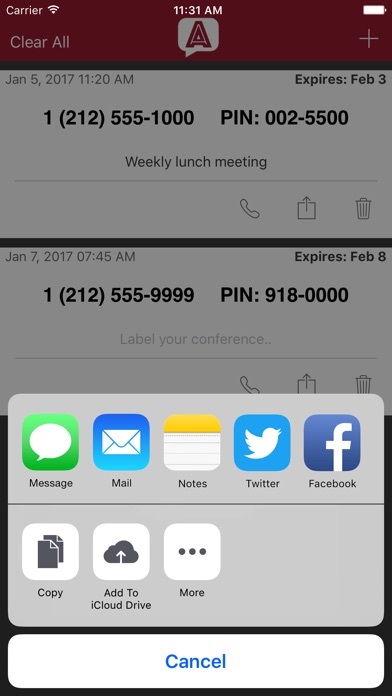 Share your call-in number and PIN via iMessage, SMS, email, or any way you choose. Anonochat is also completely anonymous, so you can share your call-in number and PIN with anyone on the Internet without giving out your phone number or other personal details. 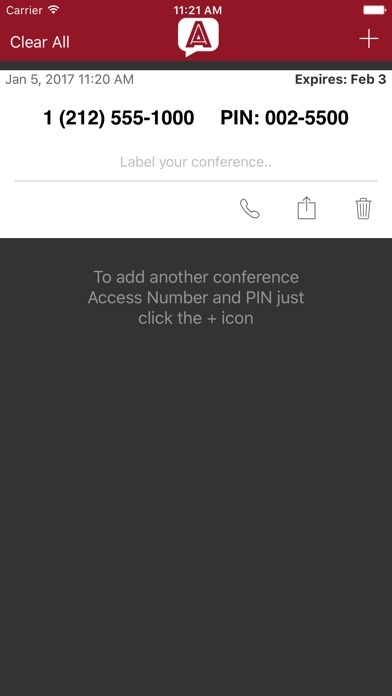 OVERVIEW Anonochat gives you the ability to create instant conferences: • Completely Free • No signup required • 1 tap to create a conference • Conference call-in numbers provided in United States • Unlimited conference participants • 1 tap to call-in and enter PIN on the iPhone • Generate multiple conference rooms • Label your conferences SHARING Share your conference number with anyone from within the App via: • iMessage / SMS • Email • 3rd party Apps (Twitter, Facebook, Skype, etc.) • Copy and paste anywhere CALL-IN NUMBERS Call-in numbers you’re assigned are: • Telephone numbers in the United States • Can be reached from any phone worldwide • Allow unlimited conference participants • Allow unlimited conference length (some carriers may disconnect calls after 6 to 8 hours, you can always just call back) • Free to call for callers with unlimited calling to the USA (standard calling rates to the United States apply for those not on unlimited calling plans) ANONYMOUS Since there’s no signup required for Anonochat, keep the following in mind: • Using and sharing Anonochat call-in numbers and PINs is completely anonymous • Conference call-in numbers and PINs are deleted automatically 30 days after creation • Create new conference rooms anytime • Anonochat is completely anonymous with no signup • None of the parties calling in can see your telephone number, or those of others in the conference Anonochat is backed by Callcentric, a telephony provider that’s been providing service to businesses and individuals since 2005. This app just resolved my constant need of daily discussions with a number of people simultaneously. And yet - it's a free one. I've been using Anonochat for a few weeks. It's really simple and works great for one-off conference calls.